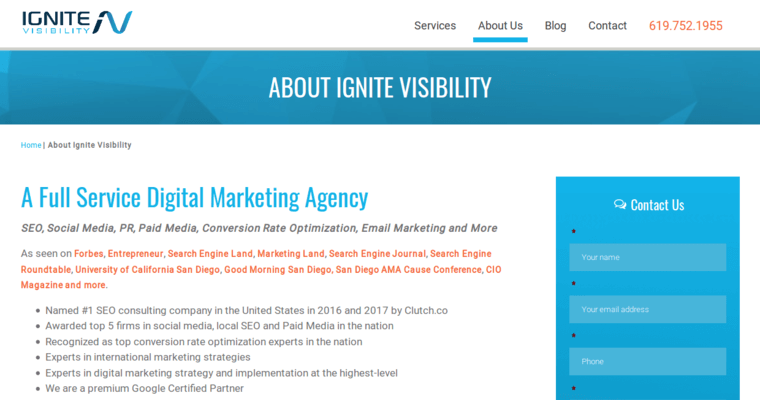 Ignite Visibility is one of the best SEO firms in San Diego. With 60 full-time employees in California and a large amount of professional contractors on the side for specialized tasks, they build their customers' rankings to the next level. 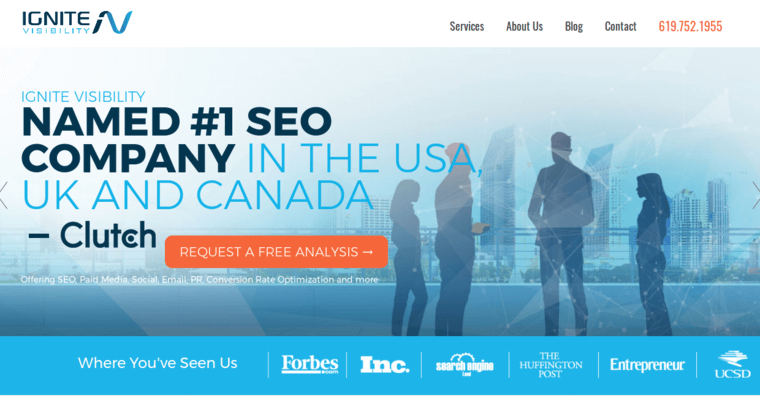 They have received numerous awards across this industry, including "Search Marketer of the Year" and #1 SEO company in the United States for three years. 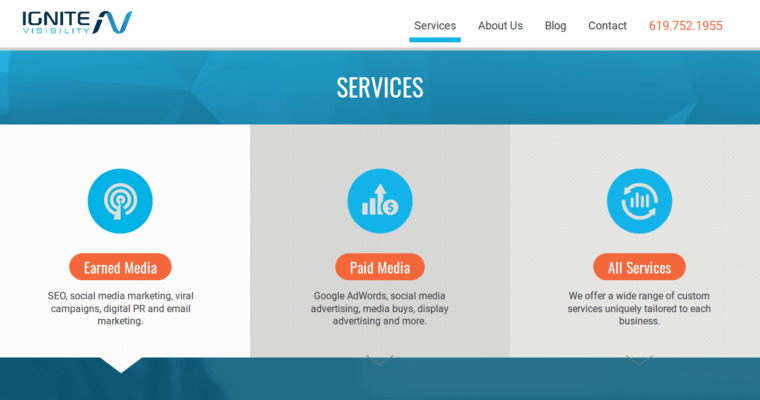 They have a huge capability to create campaigns for digital marketing, social media marketing, and even email marketing, but their SEO campaigns are always a success. Ignite Visibility wants you to develop your branding and help you gain the visibility you need to grow. The company offers exceptional SEO services that will help you achieve both short term and long term success. Ignite Visibility has spent years developing their craft and keeping up to date online with the latest Google algorithms to ensure long term rankings for websites.